USA - The Shichon or Zuchon is a cross between the Bichon Frise and the Shih Tzu. This hybrid is recognized by the American Canine Hybrid Club as the Zuchon. The Shichon averages a weight of 10-12 pounds. The coat of a Shichon is usually thick and sheds very little. The coat can come in a variety of lengths depending on which breed this dog's coat takes after. The Shichon is a happy, friendly dog. The Shichon is a happy, friendly dog. The Scichon are easy-going and enjoy the companionship of their owners. You can find Shichon puppies priced from $400 USD to $2200 USD with one of our credible breeders. Browse through our breeder's listings and find your perfect puppy at the perfect price. The Scichon are easy-going and enjoy the companionship of their owners. The Shichon is eager to please their owner. They require consistency in their training and done with a gentle hand. The Shichon does not require formal daily exercise. Routine play is sufficient though they do enjoy short walks with their owners. Shichon Puppies for Sale - Shipped Worldwide! Finding the right Shichon puppy can be dog gone hard work. PuppyFind® provides a convenient and efficient means of selecting and purchasing the perfect Shichon puppy (or Shichon puppies) from the comfort of your home, 24 hours a day, 7 days a week. Take advantage of our PuppySearch or leisurely browse our directory of hundreds of dog breeds, Shichon dog breeders, Shichon dogs for adoption, and Shichon puppy for sale listings with photos and detailed descriptions. Some Shichon puppies for sale may be shipped Worldwide and include crate and veterinarian checkup. Many Shichon dog breeders with puppies for sale also offer a health guarantee. 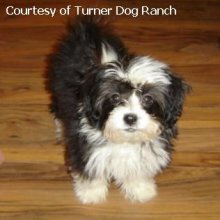 With thousands of Shichon puppies for sale and hundreds of Shichon dog breeders, you're sure to find the perfect Shichon puppy.